RUBAIYAT HOSSAIN traces the intriguing life and persona of the empress, Nurjahan. Nurjahan has been made into an icon amongst the Mughal women and her image has been popularised in literature, songs and poetry. However, recent day scholarly studies have somewhat deflated the image of Nurjahan by introducing a whole line of Mughal women who held powerful positions and negotiated important and sensitive political treaties.1 Yet Nurjahan remains one of the most extraordinary Mughal women because of her assertive female individuality that challenged the normative role of a Muslim woman. When revisiting historical figures such as the Mughal women, especially Muslim Mughal women, it is useful to break down the public-private dichotomy established in earlier historical representations and locate women outside the realm of submissive privacy of the sexualised harem; it is however, also necessary to recognise the unique individual qualities asserted by certain females like Nurjahan, who actually superseded many of her predecessors and successors. It is because of the unique qualities possessed by Nurjahan along with the circumstantial elements that made her stand up as a strong female icon even in the face of orientalist patriarchal historiography. The implications of contemporary historical recreations of the Mughal emperors are loudly pronounced over the politics of national and communal identity making processes in South Asia. The recreation of Aurengzeb as a liberal king who has actually been tainted by Western scholarship is reproduced in the 2004 version of secondary Bengali history text books published by the national education board of Bangladesh2; such revision is directly linked with the rise of a Sunni Islamic ruling bloc in Bangladesh in 2001.3 As the recreation of Mughal emperors and their roles in history have far fetching consequences in contemporary identity making processes and national politics; one may ask, what implications does the absence of such simultaneous female characters have to reveal about the social role and identity of women in contemporary South Asian societies? Popular history remembers Shahjahan as a great and eternal lover, but little is known about Mumtaz Mahal in that respect. Similarly, popular history may venerate Akbar or Aurengzeb, however, it is not until specialised scholarly research is carried out by historians equipped with a feminist lens, that we come to find out about the extraordinary political role played by Mughal women, Gulbadan Banu for instance.4 The construction and reconstruction of historical figures in popular imagination is symptomatic of our present day social context. The limited role that has been attributed to modern day Bengali bhadramahila5 cannot possibly fit into its past a Muslim female predecessor who led a pilgrimage to Mecca almost 500 years ago. Thus, Gulbadan Banu figures nowhere in popular history. Similarly, popular history has remained silent about Hameeda (Babar’s wife and Akbar’s mother), Ruqiya (Akbar’s wife and Shahjahan’s foster mother), Mumtaz Mahal (Shahjahan’s wife and Aurengzeb’s mother) Jahanara, Rasuhanara (Shahjahan’s daughters and Aurengzeb’s sisters) Zeb-un-nisa (Aurengzeb’s daughter), and other significant Mughal women. However, Nurjahan somehow managed to seep herself into the realm of popular imagination, as she figures in Bengali songs, plays, novels and TV dramas. Though in these imaginations Nurjahan is actually represented as nothing more than a sensual lover versed in Persian poetry; nevertheless, the important point to note is: unlike other Mughal women, Nurjahan could not be ignored! The historical sources available in English about Nurjahan can be differentiated into three broad categories, a) European ambassadors’ and travellers’ representations which looked through an orientalist lens, where India always figured as the extreme other, and Muslim women were assumed to be veiled passive spectators of history located in the sexual arena of the harem,6 b) representations by South Asian historians who also participate in constructing the picture of the harem as a realm of primary pleasure and desire, thus women are again stripped off of individuality and historical agency,7 c) finally, the recent re-visiting of Nurjahan that attempts to establish historical agency to her by scrutinising the reasons behind the token iconisation of Nurjahan by the first two categories of representation8. The Persian chronicles pay considerable attention to Nurjahan9 and she certainly figures as a very important character in Mughal emperor Jahangir’s memoirs, Tuzuk-i-Jahangiri. Taking a cursory look at the gamut of popular Bengali literature, European travellers’ accounts, Persian historians, Jahangir’s memoirs, contemporary South Asian historians, it becomes apparent that Nurjahan has been given her share of historical representation, however misrepresented or wiry it has been. Then, one may inquire, what is the reason behind such utterance of Nurjahan when history generally remains silent about its female figures? Was there actually anything extraordinary about Nurjahan that won her a somewhat significant role even in an overall patriarchal landscape of history? A critical re-evaluation of the events of Nurjahan’s life can perhaps illuminate the process of iconification of her in history. Nurjahan was married to Jahangir at the age of 34 and bore no heir for him, yet her name was inscribed on the gold coins, she was in possession of the imperial seal and actively signed farmans.10 As generally assumed by historians, if the importance of Mughal women lay in bearing illustrious heirs, then how can one explain the extraordinary importance of Nurjahan given her childless status? If the importance of women in the harem primarily corresponded with their sexual charms, then what could be said about the legendary partiality of Jahangir towards his favourite wife who was a 34-year-old mother by the time they got married? What could be said about the fact that, three of the most notable Mughal women: Nurjahan, Mumtaz Mahal, and Jahanara all share a lineage of descending from the house of Persian immigrant Asmat Begum and Ghiash Beg? Finally, let us ponder: does the life of Nurjahan really set her apart from other Mughal women? If she has been iconified, demonised, romanticised, idealised in the popular and historic imagination, then what could be charted as the reasons behind such recreations? Beyond the layers of Mughal historiography, popular South Asian literature and Western scholarship, can we trace the individual woman Nurjahan? It remains a challenge since she did not leave any of her own writing in the form of biography, poetry or fiction. Is it then, possible to reconstruct at least some of her thoughts, aspirations and motives by looking at the literature produced by historians and images that has been circulated about her? The legendary qualities that have been historically bestowed upon Nurjahan could be attributed to a few events of her life. Firstly, the story of a Persian immigrant girl who was born during her parents’ exile and later became one the most powerful women of the Mughal empire has always captured the imagination of historians as well as popular writers. Secondly, Nurjahan’s marriage to Ali Quli, Ali Quli’s controversial murder and finally, Nurjahan’s four-year long confinement in the Mughal harem after her husband’s death created avenue for dramatisation and much creative speculation. Nurjahan’s keen ability in poetry and literature, her craftsmanship let it be in fine arts, fashion, embroidery, architecture or writing, all gave her a special flare among the Mughal women. Finally, her father Ghiash Beg and brother Asaf Khan’s prominent position in the ruling affairs of the Mughal court and Nurjahan’s close relationship and power over Jahangir labelled her in history as one of the extraordinary Mughal women. Perhaps a discussion about these defining features of her life and the historical interpretation of it is necessary in order to deconstruct the real Nurjahan beyond the layers of historiography. — Saha, B. P. Princesses, Begams and Concubines, Vikas Publishing House, Delhi, 1992. Whether or not Nurjahan was abandoned by her parents during their journey from Persia to Delhi has been historically contended11, however, this information is widely used in the historical recreation of Nurjahan by South Asian writers.12 The infant who was abandoned, in fact, became the saving grace for her family since she considerably raised her brother, father and niece to very powerful positions in the Mughal empire. This story is underlined with a profound twist of fate and destiny that seems to have become an attractive element for South Asian writers to ponder upon. This dramatic beginning of Nurjahan’s life certainly has created avenue for her to be romanticised. Some historians directly link Jahangir to Ali Quli’s murder,16 but some contend it.17 However, given Jahangir’s detestation towards Ali Quli in his memoirs, the complicated political landscape of Bengal and finally the interest of Jahangir towards Nurjahan can certainly reveal some connection between Jahangir’s motives and Ali Quli’s murder, especially when most murders in the empire were politically constructed, and Ali Quli and Qutubuddin Khan, those who died in that particular incident held powerful ruling positions in the empire. However, since there is no actual historical reference to support the fact that Jahangir actually met and developed interest for Nurjahan prior to her marriage to Ali Quli, Jahangir’s motives in murdering Ali Quli to marry Nurjahan cannot be proved. The legendary qualities of Jahangir and Nurjahan’s love story rely heavily upon young Selim’s encounter with Mehirunnessa during a Meena Bazaar.18 This early encounter, Jahangir’s prolonged wait for her, the carefully crafted murder of her husband, her confinement into the harem, her marriage to Jahangir, and finally her becoming his favourite queen, all create a continuum in Jahangir’s emotional journey and justifies and/or explains the reasons behind his partiality towards Nurjahan. Though the early meetings of Selim and Mehirunnessa cannot be historically established, the fact that it has been so strongly established and widely circulated in later European travellers’ accounts and contemporary South Asian narratives, I would argue is symptomatic of the patriarchal historical lens that, in an attempt to understand Nurjahan’s extraordinary powerful position, conjured up an intense and dramatic love story to explain her assumed power over her husband. No Mughal queen either before her or after played such a dominant role as Nurjahan did. But when she married Jahangir in 1611, her vivacity and loveliness along with her innate wisdom and sharp intellect grew with her experience and age. –Anad, Sugam, History of Begum Nurjahan, Radha Publications, New Delhi, 1992. The four years of Nurjahan’s life in the Mughal harem prior to her marriage to the emperor have been open to fabrication and romanticism. She has appeared as a virtuous widow mourning her husband’s death, a woman with self-respect who instead of taking resort in her father’s house sought employment at the harem, an attentive reader and teacher of the Quran, a skilful seamstress and gardener, an eloquent poet and a singer, an elegant designer in clothing and jewellery, and finally a culinary master. These reconstructions have come into being much later and thus remain open to critical historians’ interpretation. However, it must be noted that, Nurjahan’s versatile talents have been widely accepted by well-reputed historians.19 Historians have attempted to understand the motive behind Jahangir’s marriage to Nurjahan, given she was a 34-year-old widow with a child at that time, and since the marriage entailed no political gain. Nurjahan is imagined and reconstructed through a patriarchal lens as a desirable woman who not only fulfilled Jahangir’s thirst for beauty and sensuality, but also stimulated him intellectually.20 Finally and most commonly, a sense of intense love between the two has been widely used as the most common logic to decode this marriage. She and Jahangir were married in 1611 and, due to his increasing addiction to alcohol and opium, she immediately ascended into the vacuum of power. Nurjahan had a decisive influence on religious policy, artistic and architectural development, foreign trade, gardening, and the opening up of Kashmir. Nurjahan was not the only Mughal woman to have exercised political authority, engaged in overseas commerce, designed architecture, figured as a great patron of art, signed farmans; many other Mughal women played similar roles;21 though Nurjahan was the only one to have coins struck in her name. What I intend to propose is, the political authority exercised by Nurjahan was not extraordinary in comparison to her predecessors and successors, however, the reason why historical imagination recreated her as the most powerful and influential woman of the Mughal empire is because of the subtle influence that she exercised over Jahangir, a fact, which becomes apparent from the utterances about Nurjahan in Tuzuk-I-Jahangiri. Nurjahan remained an empress for 15 years and 15 out of 21 years of Jahangir’s reign she remained his wife. If the latter part of Jahangir’s reign is considered significant due to his keen engagement in art, architecture, trade, building and efficiently managing sarais or rest houses for travelling traders, and the relative success in nipping some of the early buds of resistances around the empire; then one could possibly link it with the involvement of Nurjahan in the state affairs, given Jahangir testified to such facts in his memoirs. She has been historically reinterpreted as Jahangir’s consort who fed into his fixation of a strong and pious female figure such as the Virgin Mary.22 Finally, her father, brother and niece’s involvement in the power politics of the empire created avenues for much speculation regarding a certain theory of a junta.23 Furthermore, Nurjahan’s diplomatic and military role in making sure the succession of her daughter Ladli Begum’s husband Shahriyar to the throne versus Shahjahan has established her in history as an empress who not only signed farmans for mere land grants, but actively participated in the forefront of the complicated web of power network that pulsated around the issue of succession in the Mughal empire. Such involvement of Nurjahan in aligning herself with the key players of the empire, Jahangir’s growingly ill heath, the struggle for throne between Shahjahan and Shahriyar, gave Nurjahan the impact she has had in history. It is due to such important involvement of Nurjahan in the political matters of the empire that she could not be ignored by Persian chronicles, Western travellers, and South Asian historians. After Nurjahan’s father’s death, she inherited his entire estate, defying the usual Muslim inheritance laws. Among Nurjahan’s other architectural designs the tomb of her parents occupies a special place because the white marble pietra dura mausoleum creates a divine effect, which later manifested itself so gallantly in the design of the Tajmahal, Nurjahan’s rival Shahjahan’s gift for his loving wife Mumtaz Mahal, Nurjahan’s own niece. Nurjahan also carried out the designing and building of Jahangir’s tomb with special attention, and her humble grave utters only the words that leave a melancholic sigh to the reader. Unfortunately, whether or not the tone of her epitaph resulted from her surrender to a simple spiritual life under the influence of prominent Sufi tariqas circulated around that time, or it stemmed out of her failed spirit which lamented her powerless position will remain unknown. Nurjahan’s life beginning in a dramatic way comes full circle when the Persian immigrant girl, once the powerful, sensual and lavish empress of the Mughal empire, lies in a humble grave. The juxtaposition of historical reconstructions such as, “[Y]et it was beyond her own imagination that for one born in the desolate desert…destiny distinctly planned for her the occupancy of the throne,”24 with the humble sigh on Nurjahan’s epitaph neatly folds up the legendary, fair tale story of her life, with a moral message of denouncement of worldly possessions and a profound realisation about the helplessness of human beings against the force of fate and destiny. This particular humble ending to Nurjahan’s life, I would argue, has gained her a sympathetic spot in historical and popular recreations. With her epitaph the story ends at an appropriate pause to give rise to later romanticism about her; in a way this simple and humble ending qualifies her to figure in legends and fables more prominently and favourably than it would have had she died as a powerful empress manipulating the strings of Mughal power politics. This sympathetic recreation of Nurjahan by a South Asian female author in the 1960s attempts to strip Nurjahan of her power-hungry image and bathes her clean with the utmost virtue of a South Asian Muslim woman. Nurjahan is thus recreated as a woman whose interest in politics or life in general for that matter began and ended with her husband. The spiritual attributes surrounding Nurjahan’s life are interesting and shed some light on explaining the possible reasons behind her unique character and role. Strangely enough, Bengali popular imagination recalls Nurjahan as a devotee of Shaykh Ahmed Sirhindi. It stands in legend that Nurjahan bought heaven by sending food to and tending to the confined Shaykh.27 Findly, however, links Nurjahan’s Shia faith, Sirhindi’s anti Shia attitude, and his confinement to naively speculate that Nurjahan must have been anti Shia. Nurjahan’s participation in Urs of Muinuddin Chisti has been noted in history,28 along with her keen knowledge of the Quranic scripture and devotional Persian poetry of Firdous.29 Nurjahan remained sympathetic to the Sufi traditions, and enough historical references are not available to actually link Sirhindi’s imprisonment with her personal motive of being a Shia woman. The later confinement of Nurjahan to Lahore until her death in 1645, and her humble grave have been explained by some historians as her retirement into a spiritual simple way of life.30 In many ways Nurjahan transgressed the role of a typical Muslim woman, however, one must note that, as pointed out by recent scholars such as Kozlowiski, Islamic practices were much diverse back in the Mughal era. Women descending from the Persian lineage enjoyed relatively more freedom and power within the family structure. Nurjahan’s identity as a Muslim woman thus needs to be understood free of charge from contemporary scales of appropriate Muslim womanhood in order to comprehend her powerful position both in her family and in Jahangir’s. Nurjahan’s Persian lineage made it possible for her to transgress many of the conventional roles of a South Asian Muslim woman, and it is this lineage that is attributed to her sensual appeal by 20th century Bengali poet Kazi Nazrul Islam in his popular song titled, “Nurjahan”. In his verses, Nurjahan embodies the Persian literary and aesthetic motifs imported and plated in the South Asian terrain, “you brought roses, grape vines, the love story of Shiri and Farhad and the verses of Shiraz in the wine cup of your body, bulbuli dilruba is your name, floating through Sindhu river you arrived at the land of monsoon clouds, you Iranian gulistaan!”31 The marriage of Jahangir and Nurjahan in these verses becomes the symbolic marriage of South Asian and Persian aesthetic elements. The song then goes on to comment on the divine love of Selim for Nurjahan which completely intoxicated him and enabled him to defy social rules and regulations. Popular history remembers the love story of Mumtaz Mahal and Shahjahan because Shahjahan built the Taj for his beloved wife, however, the love story of Nurjahan and Jahangir has not been made immortal in popular remembrance by any architectural monument built by Jahangir, but by the extraordinary life led by Nurjahan. Thus, she figures as a strong icon even in the face of patriarchal history-writing and popular literature simply because of qualities innate in her own personality and specific circumstantial elements of her life. 1 Lal, Ruby, Domesticity and Power in the Early Mughal World, Cambridge University Press, New York, 2005. Schimmel Annemarie, The Empire of the Great Mughals: History, Art and Culture, Reaktion Books, London 2004. 2 Chakrabarti, Ratan Lal, and A. K. M. Shahnewaz, Bangladesh O Prachin Bishwa Shobbhotar Itishash. Dhaka: Jatiya Shikkha O Paddho Pustak Board, 2005, 90-102. 3 Riaz, Ali, God Willing: The Politics of Islamism in Bangladesh. Lanham, MD: Rowman & Littlefield, 2004. 5 Amin, Sonia, The World of Muslim Women in Colonial Bengal, 1876-1939 (New York; Leiden: E J Brill: 1996), Chatterjee, Pratha, The Nation and its Women, in Subaltern Studies Reader 1986-1995, ed. Ranajit Guha (Minneapolis, Minn.: University of Minnesota Press, 1997). Chatterjee discusses the national positioning of modern nineteenth century Bengali ‘bhadramahila’ in the private-spiritual-ahistoric-timeless domain of nationalism. This domain was considered superior to the West, based on a spiritual-material dichotomy where East was superior to the West due to the spiritual nature of its inner domain of sovereignty. In this imagination, women were drained of their individual freedom and locked into a timeless zone of nationalism to uphold cultural symbolism of spiritual superiority over the West. 6 European travelers such as Sir Thomas Roe, Caption William Hawkins, Francisco Pelsaert, Peter Mundy, Manucci wrote about Nurjahan based on personal accounts and public speculation. 7 Nath, R, Private Life of the Mughals of India (1526-1803), Rupa and Co, India, 2005, K.S. Lal, The Mughal Harem, Delhi, 1998. 8 Misra, Rekha, Women in Mughal India, Munshiram Manoharlal, Allahabad, 1967, Anad, Sugam, History of Begum Nurjahan, Radha Publications, New Delhi, 1992, Lal, Muni, Jahangir, Vikas Publishing House, Delhi, 1983. 9 Anad, Sugam, History of Begum Nurjahan, Radha Publications, New Delhi, 1992. 10 Findly, Ellison Banks, Nurjahan Empress of Mughal India, Oxford, New Delhi, 1993. 11 Findly admits that the incident of Nurjahan’s abandonment by her parents during their exile has been reconstructed by Persian chroniclers and European travelers almost 100 years after the actual incident, thus, such reconstruction must be critically scrutinised by contemporary historians. 12 Anad, Sugam, History of Begum Nurjahan, Radha Publications, New Delhi, 1992, Lal, Muni, Jahangir, Vikas Publishing House, Delhi, 1983, Saha, B. P. Princesses, Begams and Concubines, Vikas Publishing House, Delhi, 1992. 13 Findly, Ellison Banks, Nurjahan Empress of Mughal India, Oxford, New Delhi, 1993. 14 Beveridge, Henry, ed. The Tuzuk-I-Jahangiri, Munshiral Manoharlal, Delhi, 1914. 15 Beveridge, Henry, ed. The Tuzuk-I-Jahangiri, Munshiral Manoharlal, Delhi, 1914. 16 Anad, Lal and Saha’s interpretation creates a direct link between Jahangir’s motive to marry Nurjahan to Ali Quli’s murder Prasad and Finley argues, “there is nothing to prove tat Jahangir had ever seen Nurjahan before her first marriage, while there is every reason to believe that he sought neither the life not the wife of Sher Afghan (Prasad, Beni, History of Jahangir, Oxford University Press, Madras, 1922. 18 Siddiqui, Anis, Mughal Haremer Antoraley, Oitijjo Publishers, Dhaka, 1969. 19 Schimmel Annemarie, The Empire of the Great Mughals: History, Art and Culture, Reaktion Books, London 2004, Women in the Medieval Islamic World, Robinson, Francis, The Mughal emperors : and the Islamic dynasties of India, Iran, Central Asia, 1206-1925, Thames & Hudson, London, 2007. 20 Anad, Sugam, History of Begum Nurjahan, Radha Publications, New Delhi, 1992. 21 Some farmans signed by Nurjahan are available in the Rajasthan State Archives in Bikaner, Misra provides a list of such farmans in her appendix-B, in, Misra, Rekha, Women in Mughal India, Munshiram Manoharlal, Allahabad, 1967. 22 Findly, Ellison Banks, Nurjahan Empress of Mughal India, Oxford, New Delhi, 1993. 23 Habib, Irfan, The Family of Nurjahan during Jahangir’s Reign: A Political Study, in Hasan, Nurul, ed, Medieval IndiaA Miscellany, vol. 1 Asia Publishing House, Aligarh, 1969. 24 Anad, Sugam, History of Begum Nurjahan, Radha Publications, New Delhi, 1992. 25 Moreland, W.H, Gyle, P, trans, Jahangir’s India: The Remonstrantie of Francisco Pelsaert, Cambridge, London 1925. 26 Misra, Rekha, Women in Mughal India, Munshiram Manoharlal, Allahabad, 1967. 27 Siddiqui, Anis, Mughal Haremer Antoraley, Dhaka, 1969. 29 Anad, Sugam, History of Begum Nurjahan, Radha Publications, New Delhi, 1992. 30 Misra provides a list of such farmans in her appendix-B, in, Misra, Rekha, Women in Mughal India, Munshiram Manoharlal, Allahabad, 1967. 31 Qadir, Abdul, ed. Nazrul Rochonaboli Shomogro, Bangla Academy, Dhaka, 1977. Rubaiyat Hossain is a filmmaker and researcher. 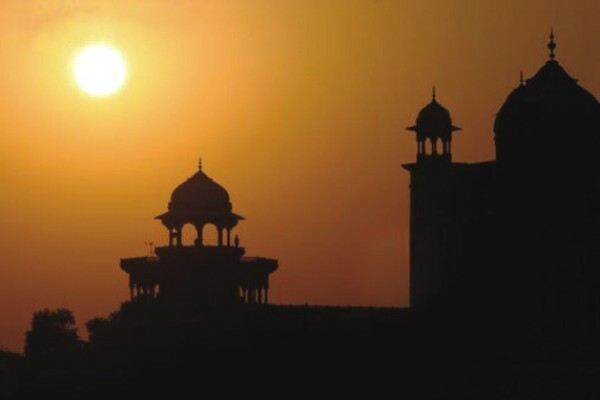 for more information on mughal history…check following link.